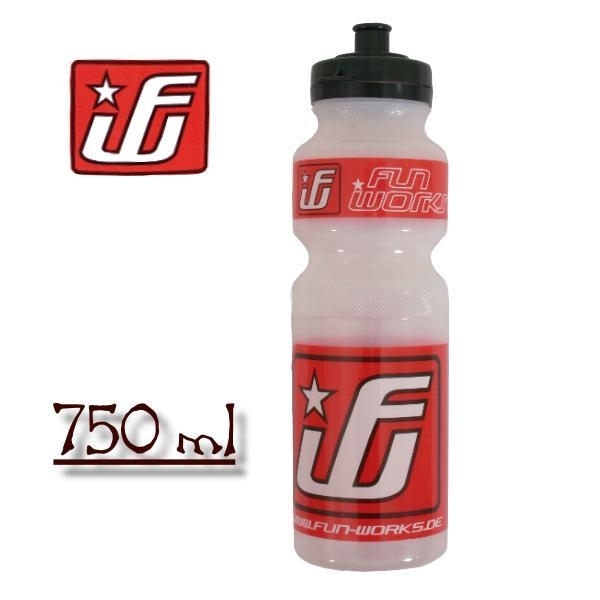 Product information "Fun Works Bottle red / clear 750ml"
Der Durst kann kommen !! The new, absolute leak proof and clear bottle with big filling hatch. Made of taste free LDPE-Material. Related links to "Fun Works Bottle red / clear 750ml"
Customer evaluation for "Fun Works Bottle red / clear 750ml"
Clearprotect safety sticker frame pack "L"
Goodyear Newton ST Premium Tire 27,5 x 2.4"
Magura Adaptor QM28 für 180mm / PM 5"
Rixen & Kaul KLICKfix CamOn!